A financial confirmation letter confirms or verifies a transaction agreement--typically, a payment made or a payment that is being promised. This letter is written generally after an oral conversation, in person or over the phone. An oral agreement is reached and placed into writing, creating a financial confirmation letter. The letter encapsulates all details regarding a financial agreement made by two parties. One party creates the letter and then sends it to the other party. Address the letter. The letter should state the word “Dear” followed by the party to the oral agreement. Understand the purpose for the letter. A financial confirmation letter serves three main objectives. First, it helps both parties to understand the agreement and each party’s obligations to the agreement. The second objective is that this letter lets the other party know that the party writing the letter is taking the matter seriously and has not forgotten the conversation. Finally, this letter is documentation that can be used in court if the arrangement fails. Begin writing the body of the letter. A financial confirmation letter should begin by stating “This letter is to confirm the conversation between us on [date] regarding ... .” This line summarizes the parties involved, the agreement made, the date and the subject matter. After this is stated, a detailed summary should be clearly written regarding the agreement reached orally. It is vital to write this letter shortly after the oral agreement was discussed. This helps avoid inaccuracies. Ask the party to review the information for accuracy. Include a statement asking the recipient of the letter to read the letter carefully looking for any inaccurate statements. Ask the recipient to notify you at his earliest convenience if any inaccuracies are discovered. Sign the letter. Make a copy of the signed letter and mail a copy to the other party. 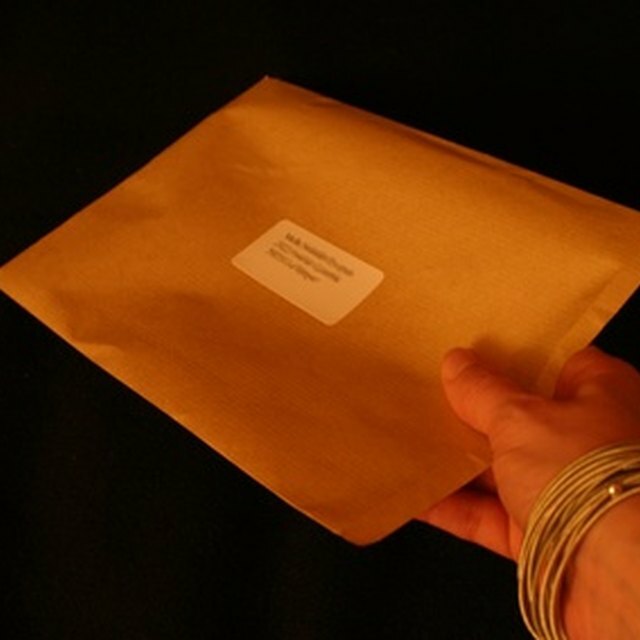 If the information is time sensitive or if you believe the other party may not receive the letter, it may be a good idea to send it through certified mail.